Graceful and bold, this self-propelled model carries the true spirit of the road. 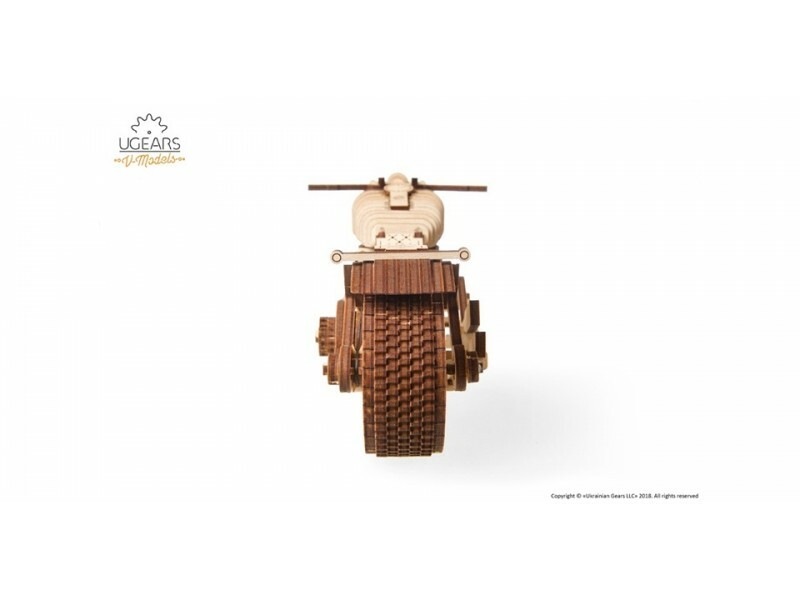 The Ugears Bike VM-02 is a tribute to classic cruisers from the 30s of the 20th century to nowadays. 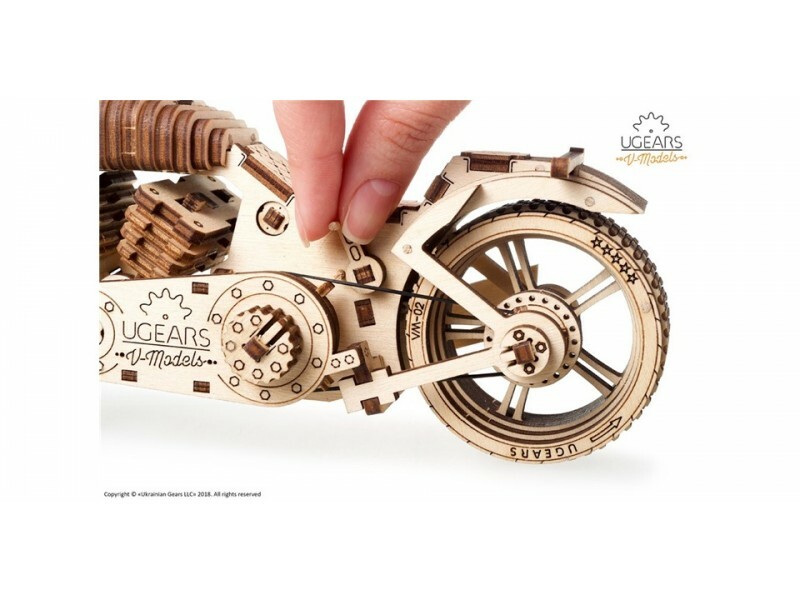 Hold on to your handlebars and breathe in the smell of highway with the new Bike from Ugears. 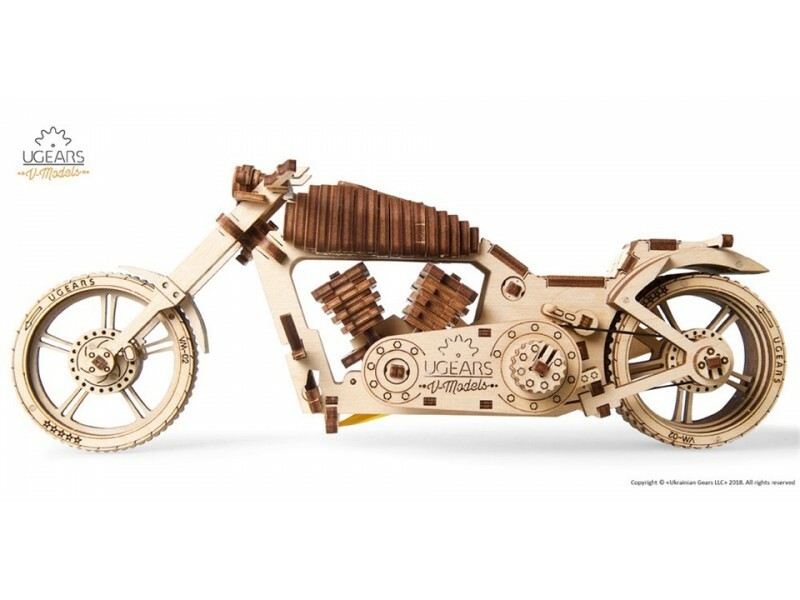 The Bike is driven by a powerful rubber band motor that makes the motorcycle ride for as much as 3 meters in one winding. The energy produced by the motor is transmitted by a belt drive to the mechanism. 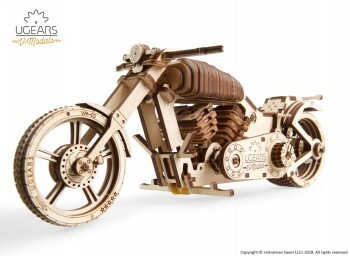 The design of the Bike allows you to observe the work of the mechanism, including the moving pistons that look absolutely fascinating. The combination of a high-tech exterior and eco-friendly materials make the model a welcome gift to a friend or a business partner. Detailed realistic design ensures that the Bike will become a wonderful complement to any home or office. Les paquets étaient très bien emballés, l'envoi était rapide. 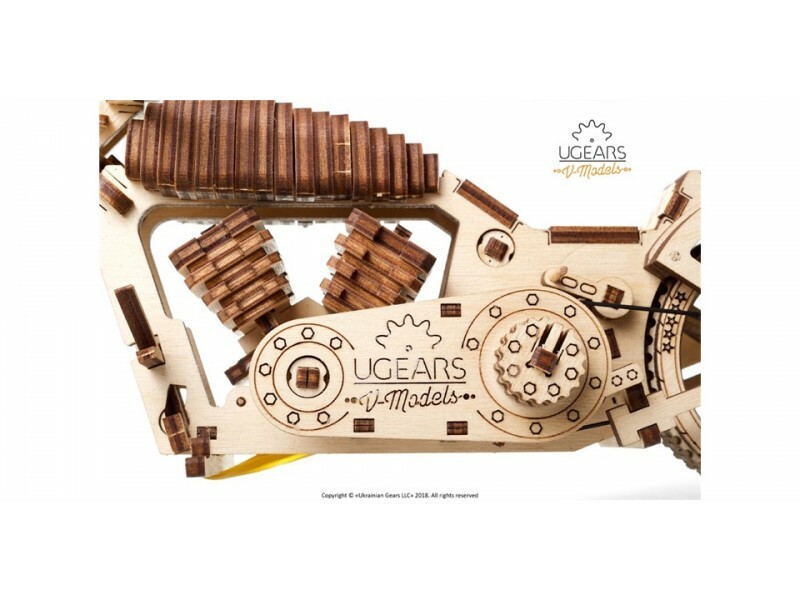 L'article n'a pas encore été monté, mais les produits Ugears ont toujours été d'une grande qualité.